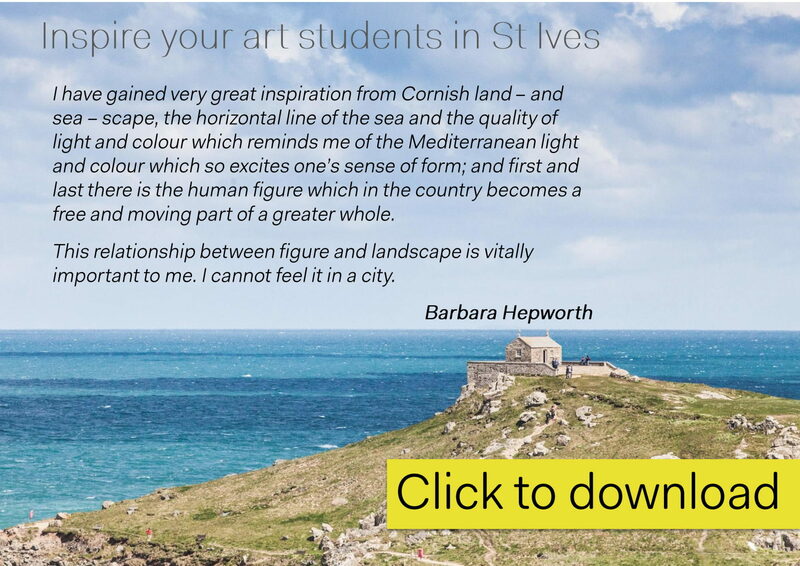 Click on the image below to download our FREE Guide to planning your school art trip in St Ives. This eBook covers everything you’ll need to build your art trip itinerary in St Ives. It includes tips on the best views for sketching through to details of artist educators, workshops and art institutions in and around St Ives. For more details see our Educational Visits page and our School Art Trips page. *or as painless as possible. If you get in touch with us about organising an art trip to St Ives, whether you have specific dates in mind or not, we would be delighted to share our experience with you. We can assist you in making reservations, organising food during your stay, as well as ensuring you have all the information you need for your administration team such as Health & Safety policies, risk assessments and safeguarding information. Cohort Hostel operates a flexible payment policy as we appreciate that all educational establishments work differently and we will turn around a quote within 12-24 hours. We can recommend transport options, day trips, alternative activities and also work with local organisations in St Ives so can help you with contact details for key people, as well as give you an indication of pricing for various activities. We can provide all 3 meals (all optional) through to private spaces for you to conduct seminars or one-on-one sessions with your students. Our facilities are top notch, ranging from Superfast WiFi through to a fully equipped self-catering kitchen, large lounge and private courtyard. If you have any questions about organising a school (art) trip to St Ives please get in touch: We are more than happy to provide a no-obligation quote or just have a chat about your expectations and ideas. Give us a call on 01736 791664, email hello@www.stayatcohort.co.uk or fill in the form below.